Anne Bronte, the youngest sister of the Bronte sisters Emily and Charlotte. She was also the youngest of 6 children born to Maria Branwell and Reverend Patrick Bronte. After her mother's death, her aunt Elizabeth moved in to help Patrick raise her and her siblings: Maria (1814-1825), Elizabeth (1815-1825), Charlotte (1816-1855), Patrick Branwell “Branwell” (1817-1848), and Emily (1818-1849). She wrote numerous poems and contributed to a book of poetry which was published in 1846 called "Poems by Currer, Ellis and Acton Bell. The sisters used aliases to hide the fact the authors were female. In 1847, Anne's first novel "Agnes Grey" was published under the alias Acton Bell. In 1848, her 2nd novel "The Tenant of Wildfell Hall" was introduced. Unfortunately it was overshadowed by the the deaths of her brother Bramwell and sister Emily within two months of each other. She died in 1849 at the age of 28 from tuberculosis. 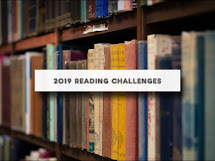 In honor of Anne Bronte's birthday, my challenge to you this week is to read either one of her stories and/or her poetry which can be found online and let me know what you think of them. Playing catch-up here. Week Two and Week Three. Thanks for your patience. I must confess that, though Emily Bronte was always one of my favorite's, I hadn't heard of or read from Anne. I looked up some of her poetry and read. I especially liked "Vanitas vanitatum omnia vanitas". One of my favorite books of the Bible is Ecclesiates! Too hooked on Jim Butcher to drop him for Bronte but it does begin with a B! Leah: I confess. I didn't know about Anne either, hence the post. Always learning. Lizzie: Butcher is good too. I haven't read any of his stuff yet. *gasp* Soon though. I read 'The Tenant of Wildfell hall' a few years ago and I loved it, a really good book and worth reading. Ann's poem "Memory" was one of my favorites. Of the three Bronte's I actually enjoy Anne's poems the most. I read Agnes Grey recently and enjoyed it very much. Love Anne Bronte! Thank you for the reminder! @Paul - good. It's on my nook waiting for me to read. @Kaye - Out of all her poems, I liked Memory the best. @Jillian - I'm a great believer in weird coincidences. Synchronicity. I finished Island of the World. I don't see the Mr. Linky, so am posting here. Beautiful, amazing, stunning, thought provoking book. @Dawn. Sorry, I usually don't put up new post until sunday morning. May have to rethink that and start getting it done Saturday night. Here is my week 3 link. Sorry its late.